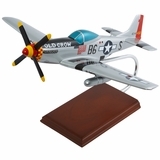 This P51 Mustang bottle stopper is built to provide close air support for your valuable vintage. 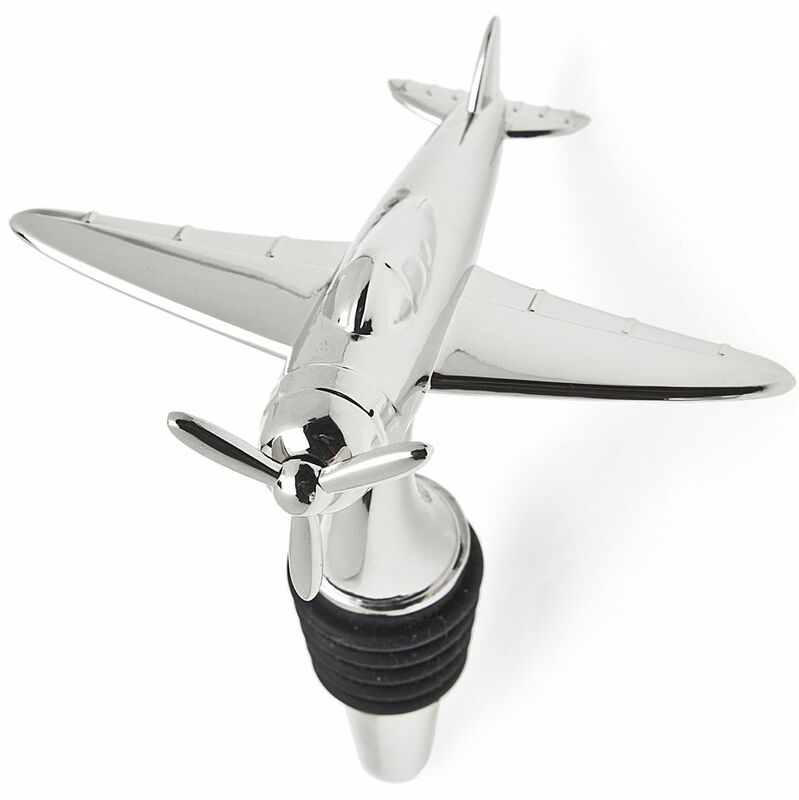 Aviation Gifts – This Airplane Bottle Stopper is styled after the P-51 Mustang aircraft. The 3-bladed prop adds high flyin' class to the airplane bottle stopper. This propeller spins even when you haven't had too much to drink! The airplane and upper stem are coated in shiny nickel plate adding a smooth grace to the stopper. 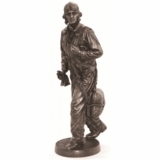 The Airplane Bottle Stopper measures about 4 inches high with about a 3 inch wingspan and a 2 ¾ inch length. This was the perfect gift for my airplane-and-wine-loving boyfriend! I love this plane wine stopper. The only problem is that there's never a bottle that is unfinished so I can use this!